Over the past few weeks with parties, Halloween and more birthday parties, my children have become quite obsessed with having their face painted. And, I in turn have found something that I quite enjoy and I'm improving at each time. So with Christmas fast approaching and outfits in mind, everyone is going to be looking for inspiration. 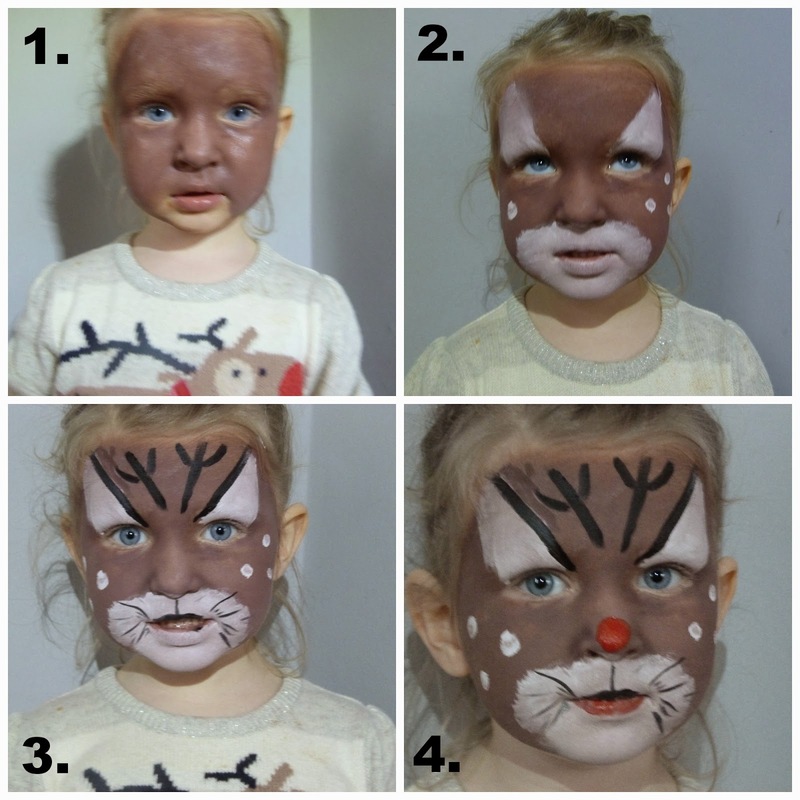 So to complement your novelty Christmas outfit, should that be the case, I thought I share a reindeer tutorial and some other easy to do Christmas face paints. First of all you need to get some quality face paints to ensure the best coverage. Although I coverage on the first picture doesn't look great it actually did its just the way the camera kept picking it up! Its really simple to do when broke down like below. 1. Cover the entire face brown apart from the mouth area. Dab with sponge for better coverage. 2. Draw the white bits above the eyes, don't worry if its not straight you can cover with the black afterwards. Do three spots on each cheek and cover around the mouth. 3. Use the black to draw the antlers and along the white above the eyes. Around the mouth, make sure your brush is as thin as possible to do the strokes and top lip. 4. Add a red nose and red bottom lip. 5.Finally add glitter to the nose and white spots on the face. This is me posing for a competition photo, I did this myself in the mirror and this is a simple snowman that I found online. 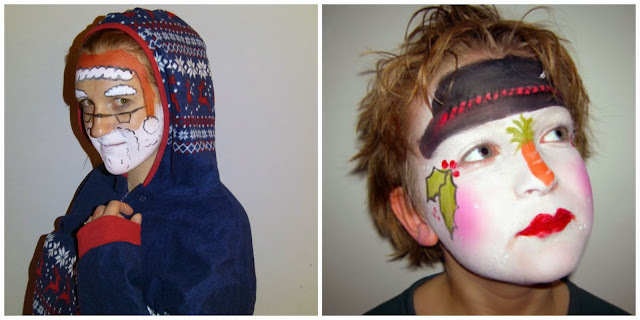 Both these face paints are great as they will go with any father Christmas or Mrs Clause costume. It'd obviously also work excellently if you are going to dress up as "Rudolph the red-nose reindeer". So who are you or your little ones planning to dress up as this year? *This is a PR collaboration. What's wrong with a bit of fakery?